Hi, everyone! The Defensive Investor Course has concluded as of September 2012, and the Enterprising Investor Course is now running. If you'd like to subscribe to the Enterprising Course, which includes the new Enterprising Portfolio, you can easily do so from the homepage. You'll need to cancel your Defensive Membership in order to transition (this is due to the payment processing company - they can't change the amount we bill per month after the fact, so you need to sign up under the Enterprising plan) over to the new course. The Enterprising Plan includes everything in the Defensive Plan, in addition to all of the material in the Enterprising Investor Course. We hope to see you there! Consumer prices are showing no signs of inflationary pressure. 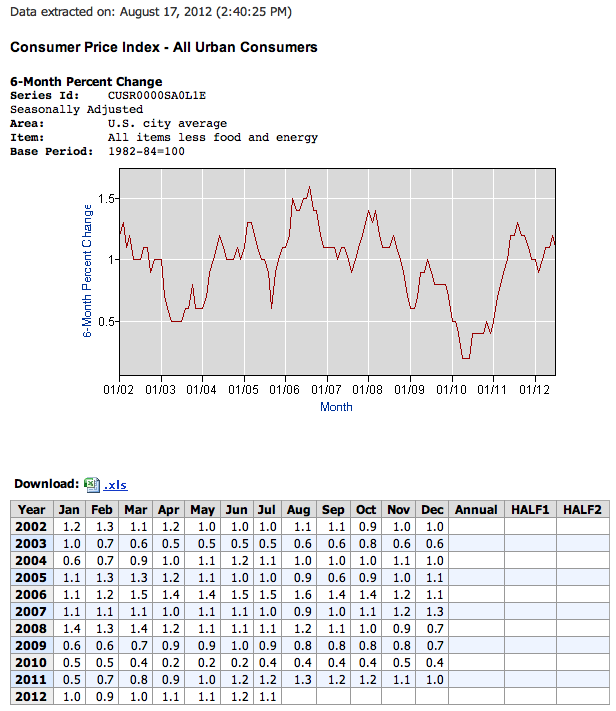 It appears the economic stimulus has not yet triggered rising prices. As a result, policy makers are able to continue on a track of accomodative monetary and fiscal policy at least in the near term. We will continue to monitor this indicator closely. The next reporting date is December 14, 2012. 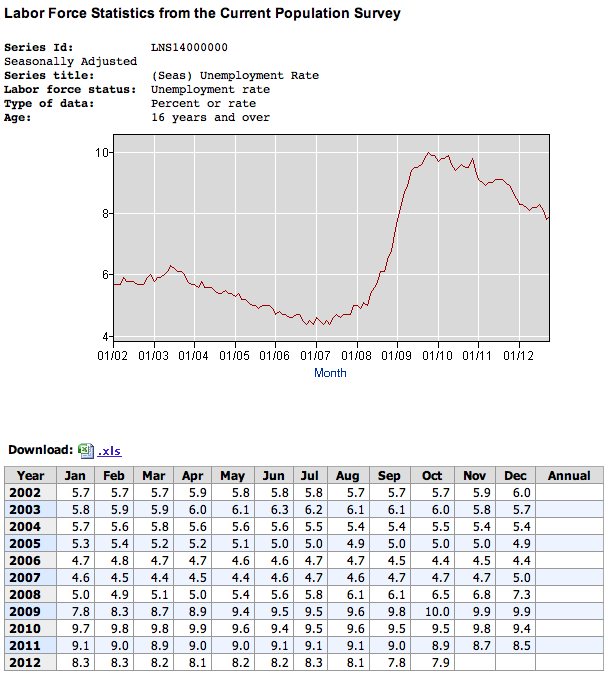 The general trend in the rate of unemployment continues to be an excruciatingly slow but steady decline since its peak three years ago in October, 2009. Expect policy makers to take credit for the improvement in the unemployment rate and continue on their path of accomodative fiscal and monetary policy, especially while there are no signs of inflation on the horizon. 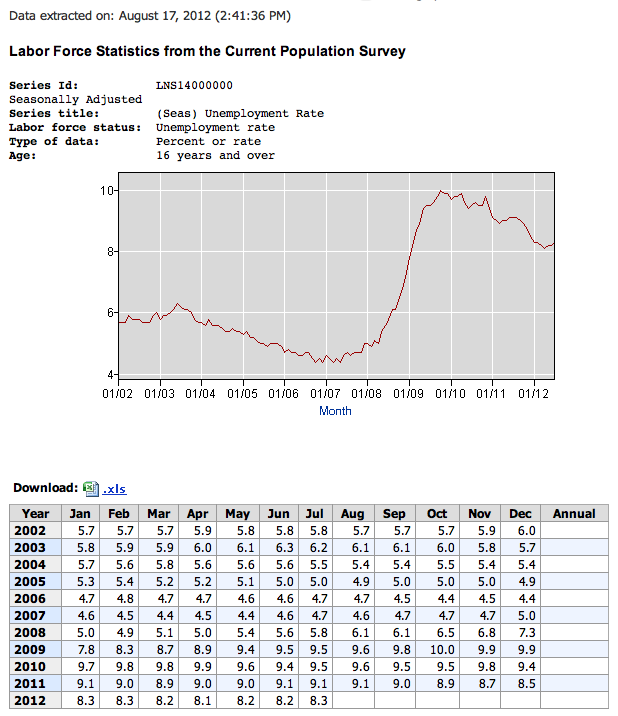 We will continue to track the unemployment numbers. The next reporting date is Dec. 7, 2012. 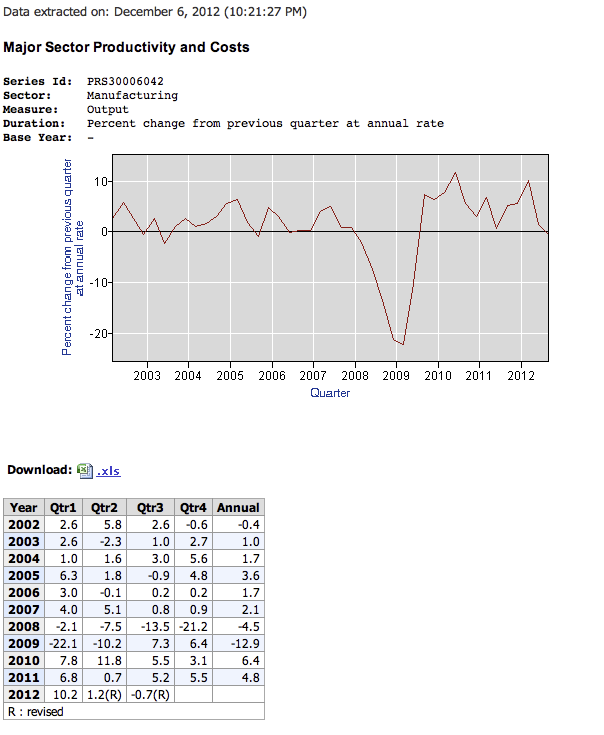 After 12 quarters of strong growth following the recession of 2008-09, the recovery in manufacturing output appears to have stalled here (temporarily, we hope) in the third quarter. 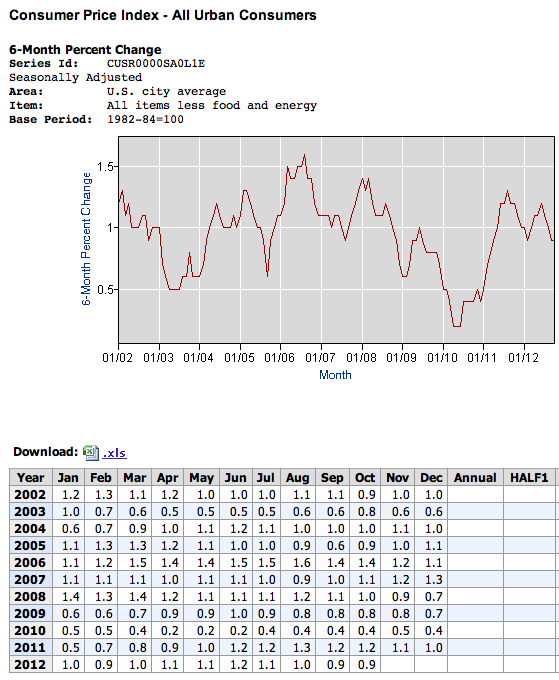 We see the numbers are down -0.7% from the previous quarter. Again, the threat of a slowdown in manufacturing output would give cause for the fiscal and economic stimulus to continue in the near term. Fourth quarter preliminary numbers will not be released until February 7, 2013. We will have to wait until then to see if the drop was just a temporary set back or the beginning of a possible trend. The three statistics seem to indicate policy makers will be keeping rates low for now. As the saying on Wall Street goes, “Don’t bet against the Fed.” Please stay posted for further Economic Updates as new data is released. 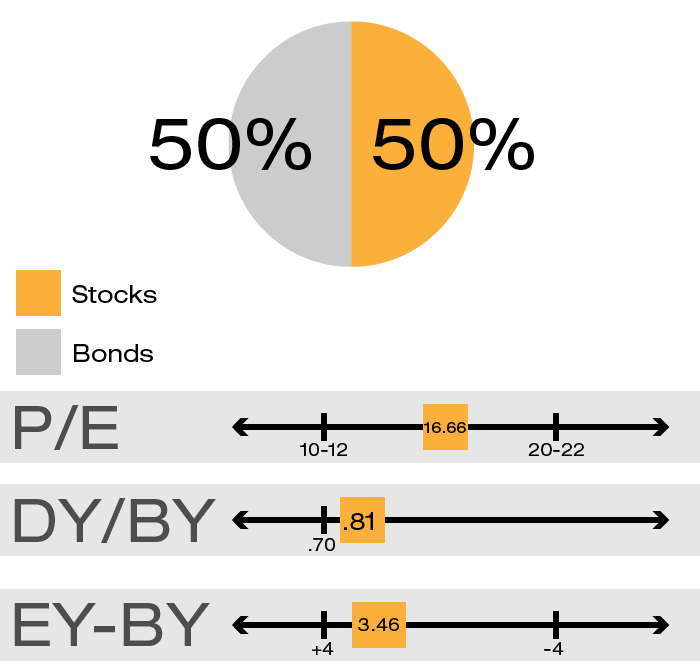 For the month of August, we are maintaining our 50/50 allocation of stocks and bonds. The unemployment rate has actually begun to rise slightly since the Spring of this year despite continued massive fiscal and monetary stimulus. As a result we expect accomodative fiscal and monetary policy to continue in the near term. The next reporting date is September 7, 2012. Despite massive fiscal and monetary stimulus, consumer prices have been rising at a very modest rate. Inflation is a major concern to policy makers. Until signs of inflation begin to emerge, expect the stimulus to continue. The next reporting date is September 14, 2012. Manufacturing output has surprisingly rebounded quite strongly in the last two years, but appears to have stalled in the second quarter of this year. Preliminary numbers came in at 1.7%. Based on the data, we don't expect the current policy makers to change their accomodative fiscal and monetary policy stance any time soon. For now we would expect the Federal Reserve to continue to hold rates down, at least in the near term, not wanting to derail the fragile recovery. We will continue to monitor these economic indicators closely. 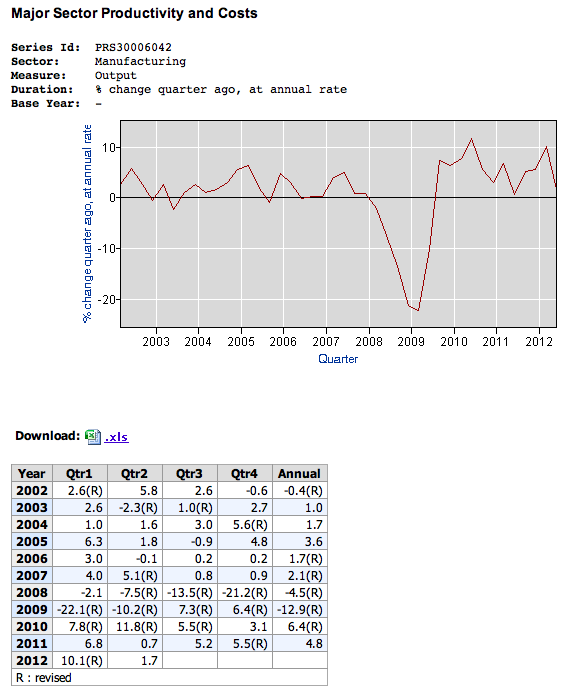 Second quarter revised numbers will be released September 5, 2012.